A White man got more than he bargained for after accusing a Nigerian man of stealing in South Africa, according to a report by National Helm. 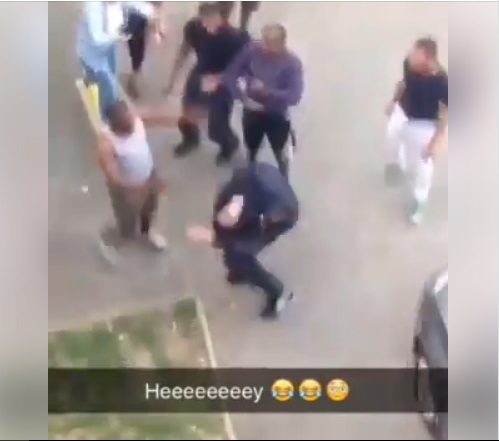 It was gathered that the unnamed White man had approached the Nigerian on the streets with allegations of theft before the accused gave him a very hot slap which was recorded in a video that has gone viral online. 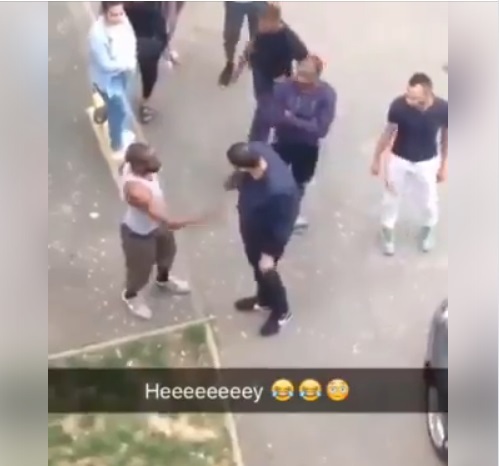 After the slap, other residents and passersby who witnessed the incident, had to restrain the Nigerian man from further beating the White man.